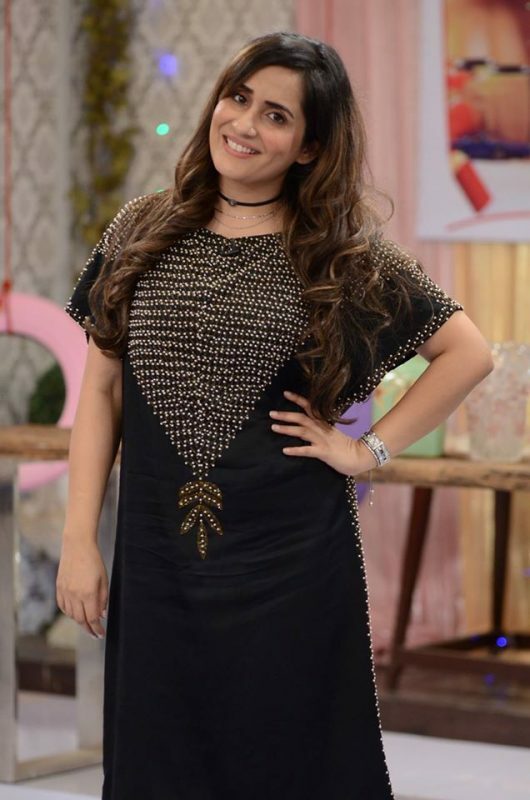 Sabreen Baloch the step sister of famous host Sanam Baloch, Sabreen Started her career in 2005 from PTV drama serial Masuri, which gives her wide acclaim, she successfully established herself as an actress in industry. 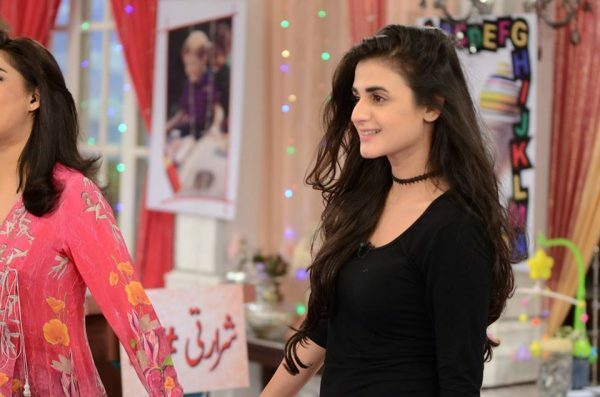 Since she has appeared in drama serials, sitcoms, telefims and has appeared on number of talk shows and programs.She has worked in acclaimed drama serials including Kitni Girhain Baaki Hain, Nikhar Gaye Gulab Sare, Saat Pardon Mein, Sanjha, Aun Zara and LAA. With the former two earning her a wide spread acclaim and recognition. She was nominated as a Best Supporting Actress at 3rd Hum Awards for Laa while she won the award at 4th Pakistan Media Awards for Aunn Zara in the same category. Zainab Jamil is a Pakistan TV actress who started her career as model, host and anchor followed by acting in various drama serials like Susraal Meri Behan ka and her latest play was Khwab Saraye on HUM TV . She is also a movie actor and her first feature film in the movie industry is Jawani Phir Nahi Aani along Hamza Ali Abbas. 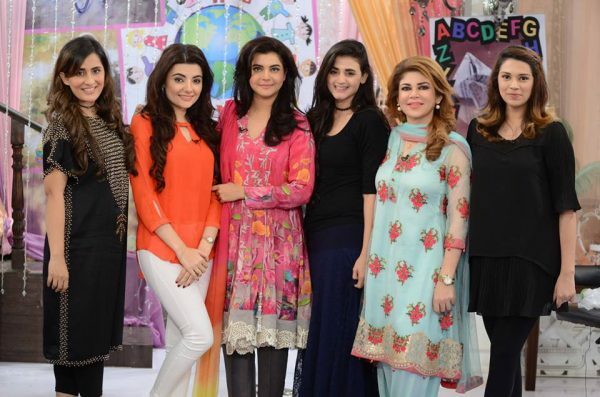 Hira a talented host and actress who has worked in several serials and shows. She is wife of popular TV anchor, host and actor Mani with 2 kids. Mani Real Name is real name is Salman Saquib Sheikh. 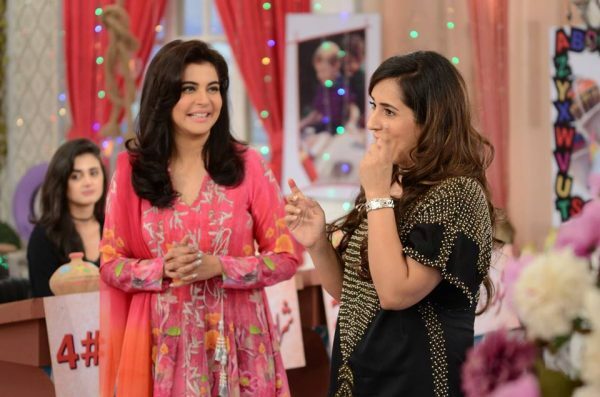 The most prominent recent show which has got her praise has been Preet Na kariyo koi on Hum TV. The four talented ladies were invited on Nida Yaisr’s Morning show and all were looking very beautiful.Have a look at the pictures.